The Lyric HG is designed with sound quality in mind; to pass analog audio from point A to B with as little change as possible. It very simply solves the problems with strand interaction and geometry using superior materials. By applying the best materials in a “less is more” design, the results are a cable that disappears from the signal path. Here it is wired with straight 1/4″ phone plugs on each end. The Lyric HG is best suited for studio applications or home use. 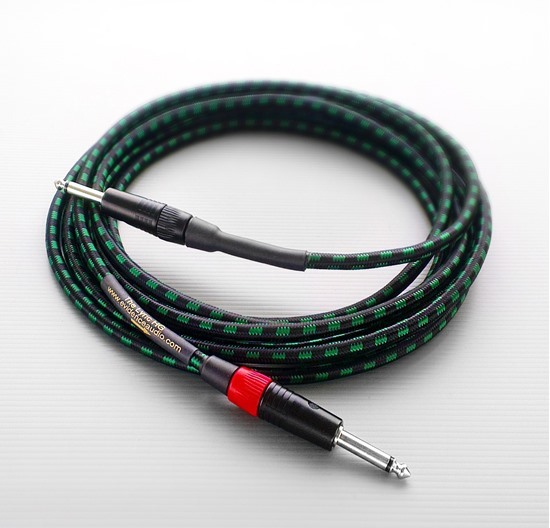 Where the cable will be used live or subject to the rigors of touring, the Forte would be a sonic equivalent using IGL-ECS conductors in place of the IGL solid core conductors. This cable is prepared with straight 1/4″ phone plugs on each end.